Phantasie für eine Orgelwalze Allegro and Andante in F Minor, K. 608. Manuscript copy in Mozart's handwriting. 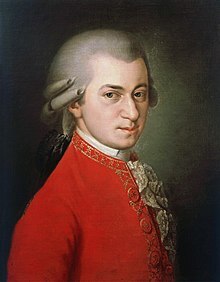 “Mozart, Wolfgang Amadeus” by Joseph McCabe in A Biographical Dictionary of Ancient, Medieval, and Modern Freethinkers, 1945. This page was last edited on 3 April 2019, at 22:35.